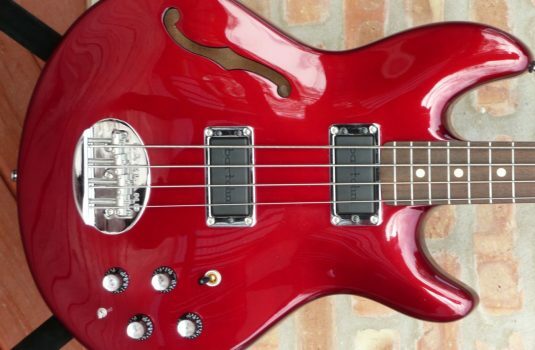 The latest bass from one of our faves, Chris Stambaugh. 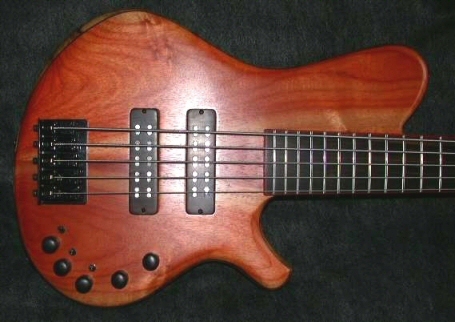 This time we specified some “new” woods and a different preamp. The details: The body wings are highly figured Black Limba, the full face top is Paduk, with a matching headstock. 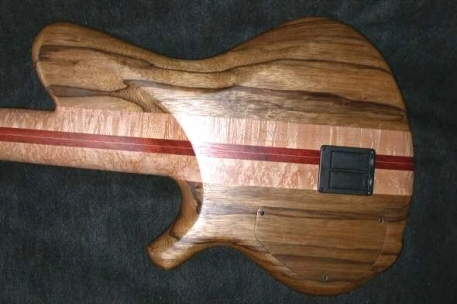 The 35″ scale neck is crazy Birdseye Maple with Paduk and Maple runners. 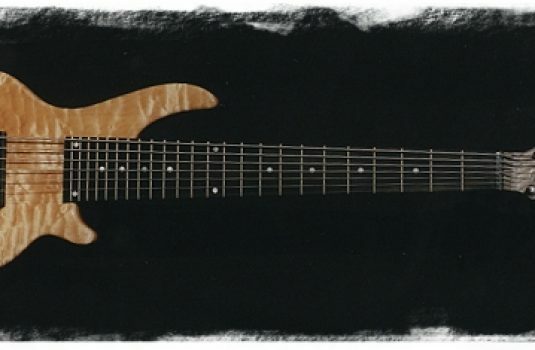 The fretboard , control knobs and pickup covers are Macassar Ebony. 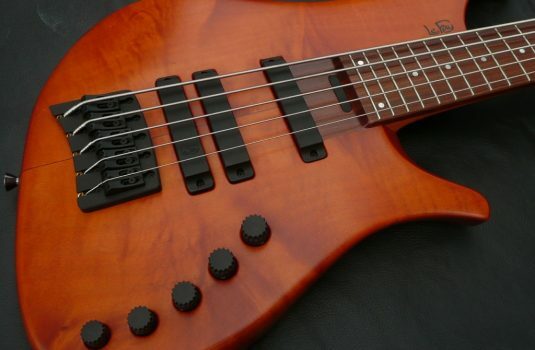 About the pickups; Aero dual coils with exposed pole pieces. The preamp is the Demeter Tyler model, a 3 band unit with a toggle switch for each band that allows you to choose one of two possible frequencies for each band. It is quiet, musical, and very versatile. 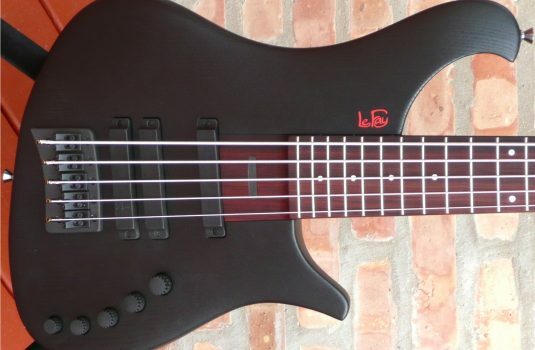 You will be seeing more LAG basses with this preamp in the future, guaranteed!